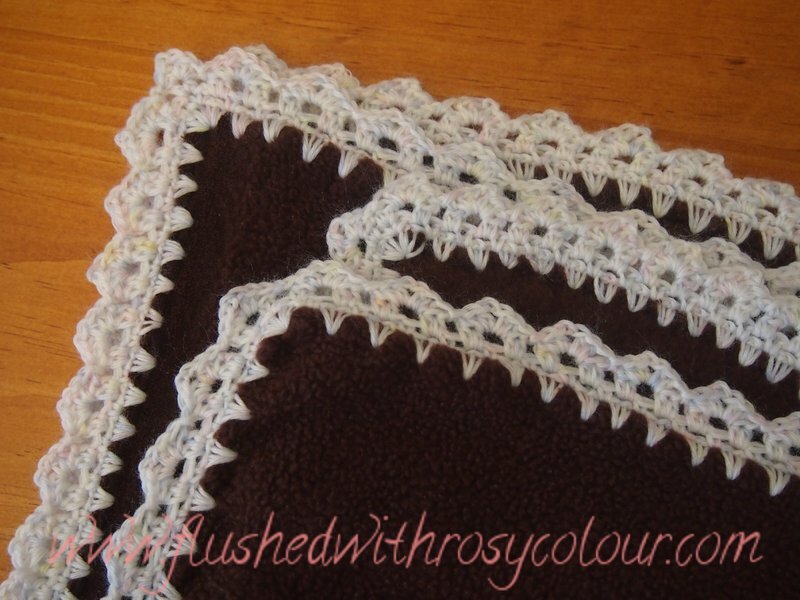 This is an old fleece blanket that I edged in 2010 with blanket stitch and blue cotton. 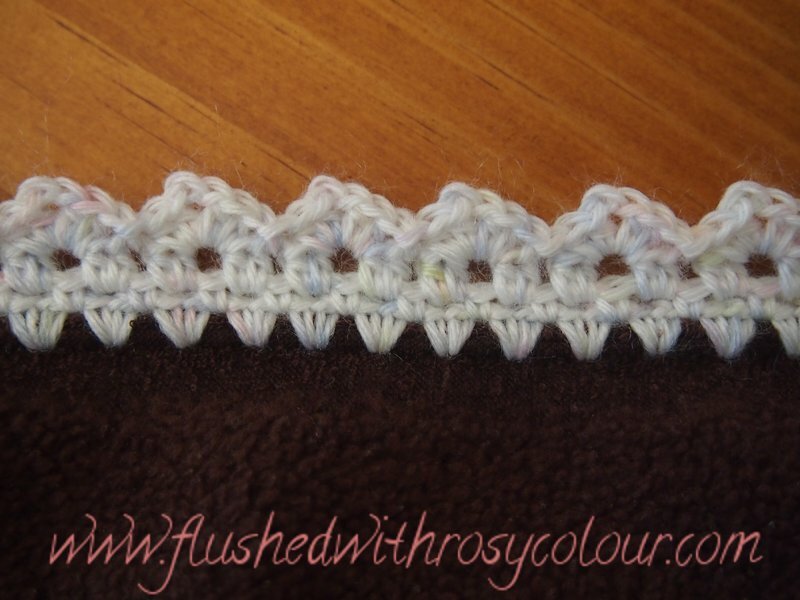 But it really wasn't very good, so I undid it and gave it a crochet edge instead! The first 3 rounds are the same as the pattern explained on hand crafting with love. For the first round I used a 1.5mm hook so I could pierce the fleece, then I switched to my 3mm hook. The final round of the edge I simply did clusters of 3 dc 2 ch 3 dc in next ch sp, sk 1 to form pointy peeks. The yarn I used for this is an Australian made acrylic baby yarn by Patons, its mostly white but is variegated with flecks of purple and yellow. I have another fleece blanket that needs edging, so I hope to find some time to do it, but next time it will be in a different colour!